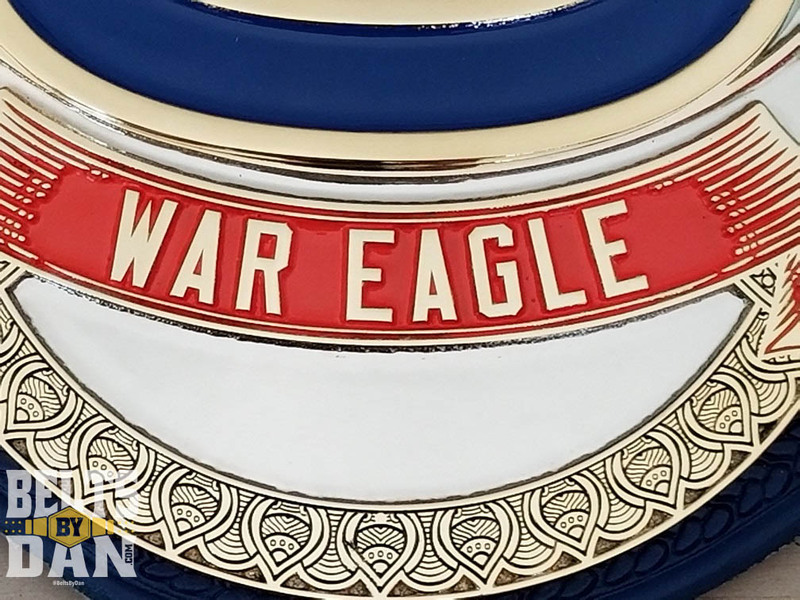 This intricate custom was made for the Auburn University Tigers football team to award to their Offensive Linemen. 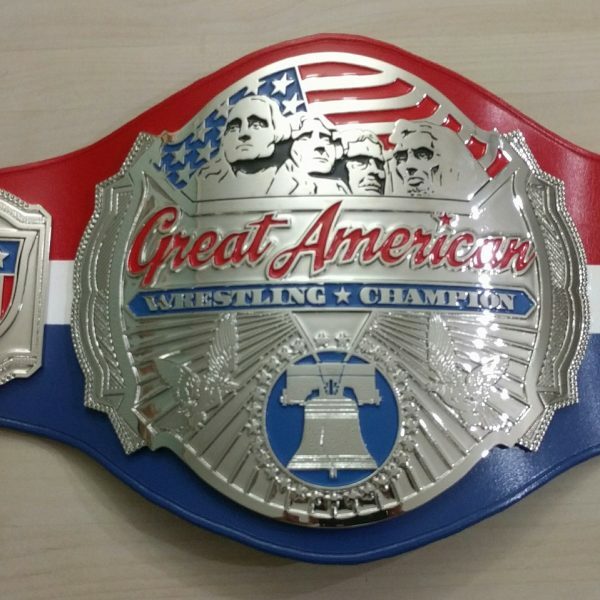 They have titled it the “Knockdown Championship”. 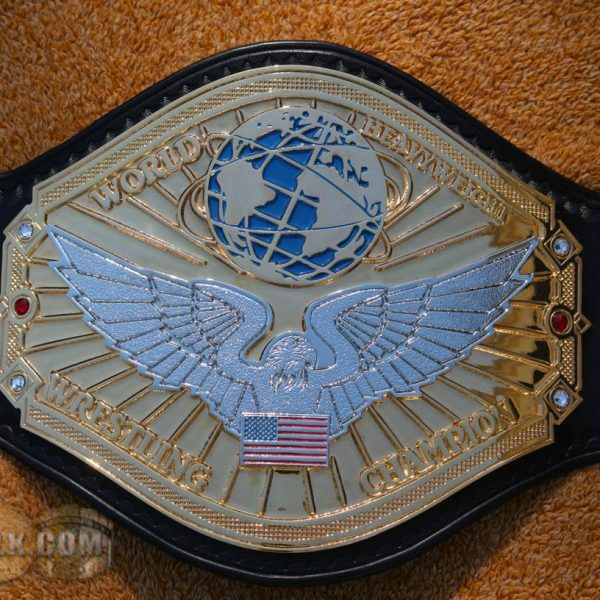 This custom belt is 5 plates, dual plated with 6th logo plate. 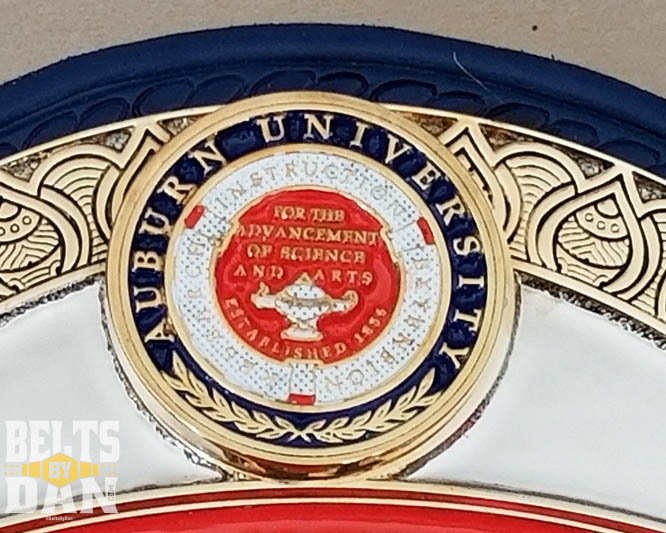 The main plate is stacked layers including the Auburn logo and the school crest. 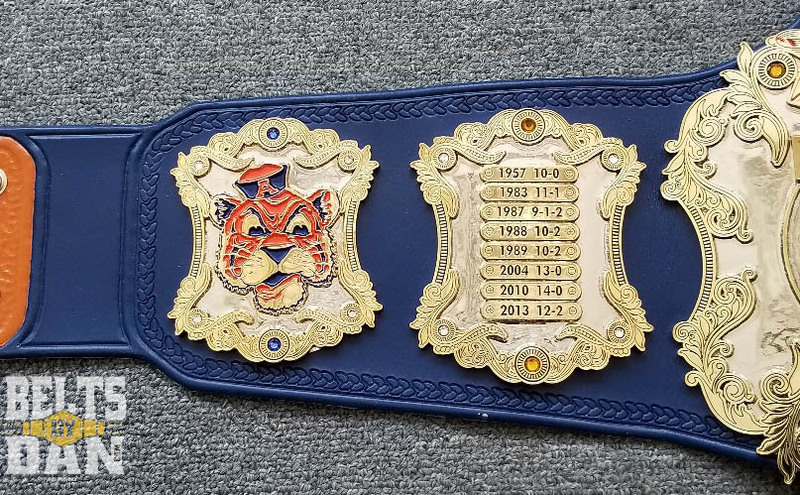 The tip has a stacked piece with the Tigers logo on it. 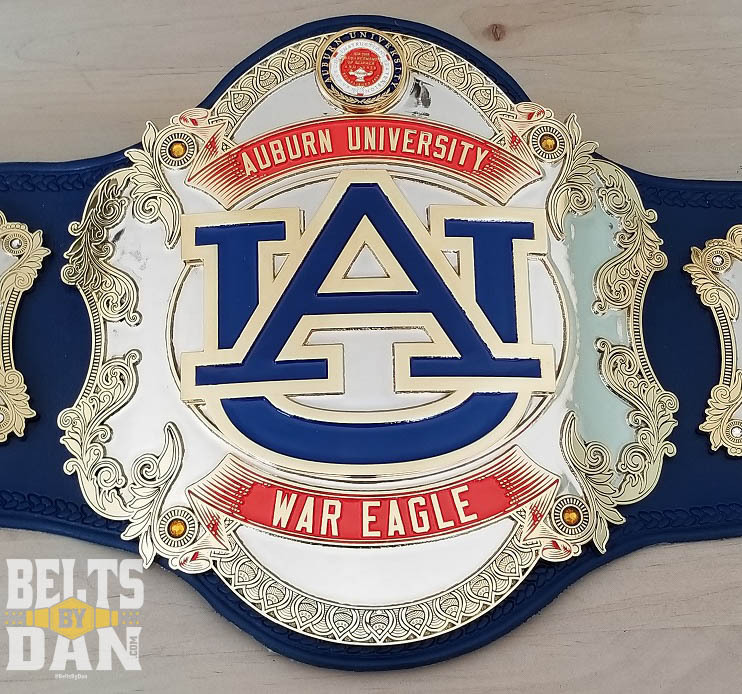 The side plates of the belt feature the older school logos and also lists their SEC championships and National Championships with years and team record. 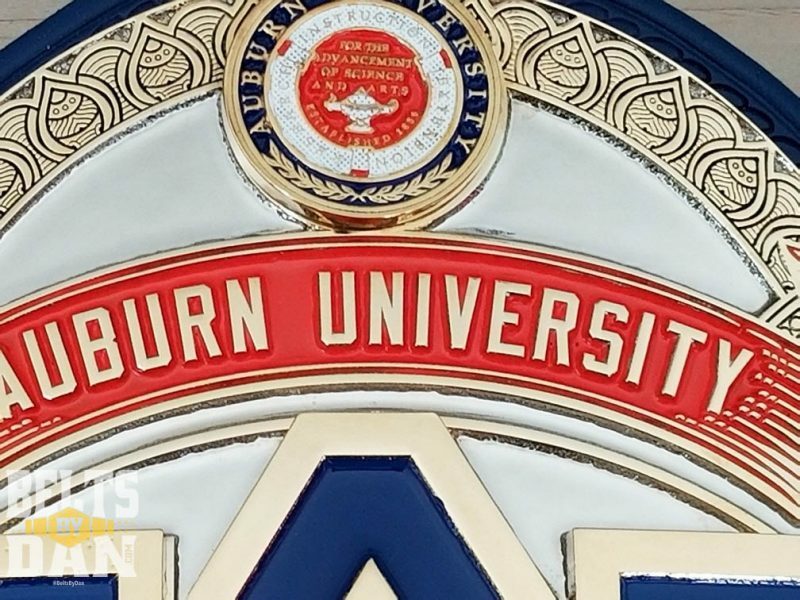 The logo plate is the current team helmet. The backing is orange tiger print. Clear and colored Swarovski stones accent the belt to give it a touch of bling. 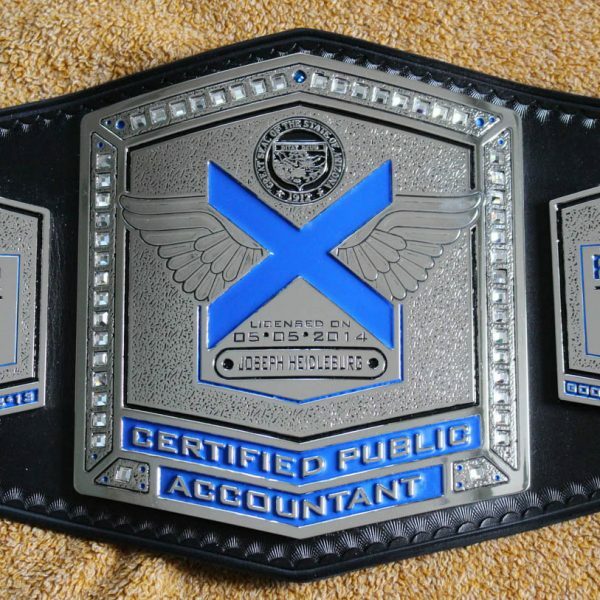 Custom leather featuring the school colors ties the belt together. 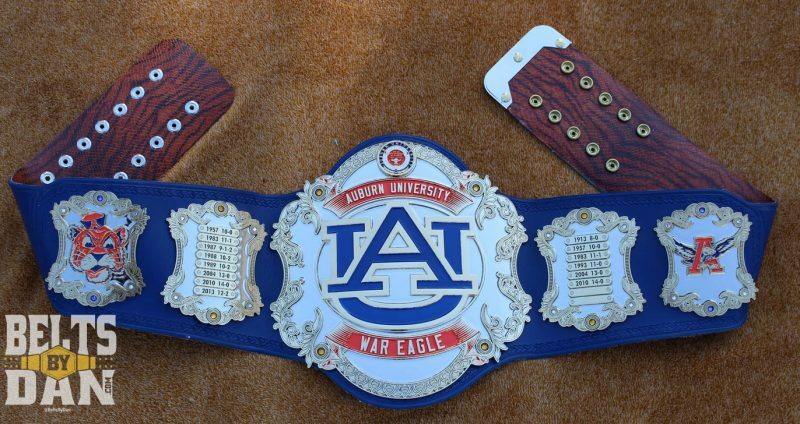 Hand painted inlays on each snap box presents the look of “WAR” and “EAGLE” when the belt is snapped around the champion’s waist. 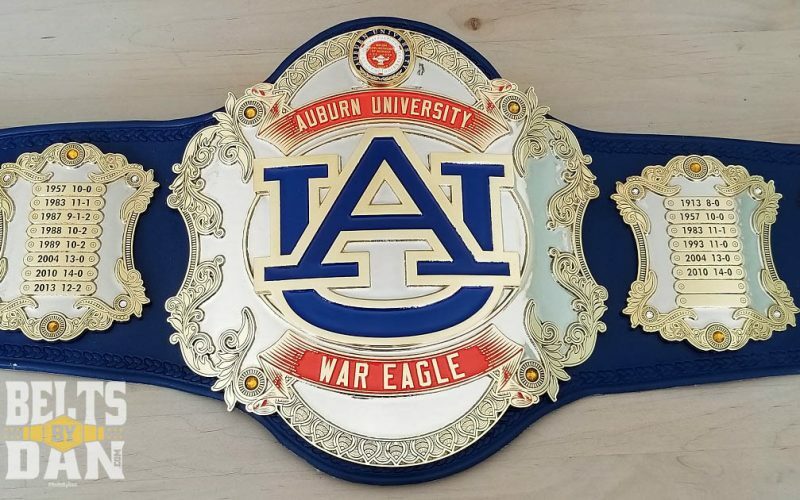 This belt will be seen on Saturday afternoons during Auburn games for many years to come.